PDXpert PLM software simplifies bill of materials management by automatically displaying the currently-released item on an assembly. As new item revisions are released, PDXpert applies the basic rule of interchangeability to ensure the latest revision is always displayed. We discuss the benefits of item interchangeability rules, as well as the alternatives if your bills of materials don't apply these common "form-fit-function" rules. A part is interchangeable with another part when (a) the relevant functional and physical properties are equivalent in performance, reliability and maintainability, and (b) it can be used without requiring special procedures (such as selecting for fit or performance) and without altering the part itself or any other part. Form The unique and relevant physical characteristics (shape, size, mass) that characterize a part for a particular use. Fit The ability of a part to physically mate with, interconnect to, or become integrated with another part. Function The action that a part is expected to perform in fulfilling its purpose. Practically speaking, if a new part can be intermingled in production inventory with previous iterations of that part without any negative effect, then the parts are interchangeable and the part number remains unchanged. Conversely, if you need to stock a new iteration of a part in a different inventory bin because it is not compatible with previous iterations (or you simply want to track its usage because you're not sure of its effect), then it's not interchangeable and you must issue a new part number. When you're considering interchangeability, it's important to emphasize that "the relevant functional and physical properties are equivalent". The interchangeability decision should account for how the item is used in your specific application. For example, the particular shade of green on a wire's insulation may not be important when used deep inside a power supply, yet a precise match is essential when it's an appliance power cable. Likewise, you may not care when a capacitor's height is revised from 5.5mm to 6.1mm; or, it might be show-stopper if you happen to produce cell phones with little interior volume. A document is assigned a new revision identifier when its technical content changes1. The document describes an existing part, and the part remains interchangeable before and after the document's contents change. The document adds a new part to an existing series of similar parts. For example, a supplier specification lists all available 0.1 watt, 2% axial lead resistors; when the supplier adds a new value to the series, the document revision can't affect any existing product. However, if your document numbers are closely related to the parts they describe (e.g., part 2468-01 is defined by document 2468), then you may be forced to assign a new document number when your technical revisions affect part interchangeability. You can reduce the bills of materials that must be manually updated, and the change forms that must be processed, simply by assigning document numbers without regard to how the related parts are identified. PDXpert PLM software helps prevent part interchangeability problems while reducing the number of engineering change orders required to manage the product life cycle. When you follow the standard interchangeability rules, then all interchangeable changes will be immediately reflected on every bill of materials upon release of the new item revision. You don't touch the parent assembly, just the child component. Similarly, when a supplier part record's revision is changed but the previous part number is retained (for example, the supplier datasheet is revised), the Source list on the consuming part will be updated without requiring an explicit Engineering Change Notice. 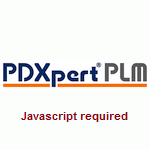 Unlike some product lifecycle management software that draws firm lines between internal home parts and supply chain partner parts, PDXpert PLM software treats partner parts as peers to home parts. Therefore, any interchangeable home or partner part can be a source for any other. This allows you to easily consume existing obsolete stock or merge part numbering systems. The document (or part record) revision should not be used to indicate a non-technical change, such as bumping the revision simply to indicate the change from "Prototype" to "Production". Although this is an old engineering practice, it can pose technical risks, unnecessary delays and ambiguities. In the application note What's the difference between Item Revision State and Item Lifecycle Phase?, read the section Benefits of keeping revision values and lifecycle phases separate.